The new bicycle/pedestrian bridge linking the W&OD trail with the East Fall Church Metro station in the Madison Manor neighborhood has been put into service. The old bridge has been demolished and removed. 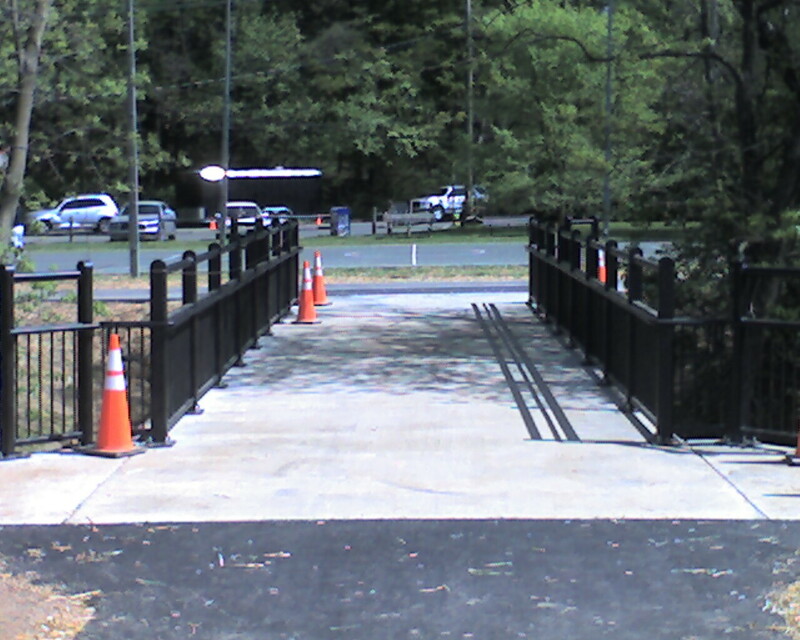 Final construction details are still being completed, but the bridge is now in use. 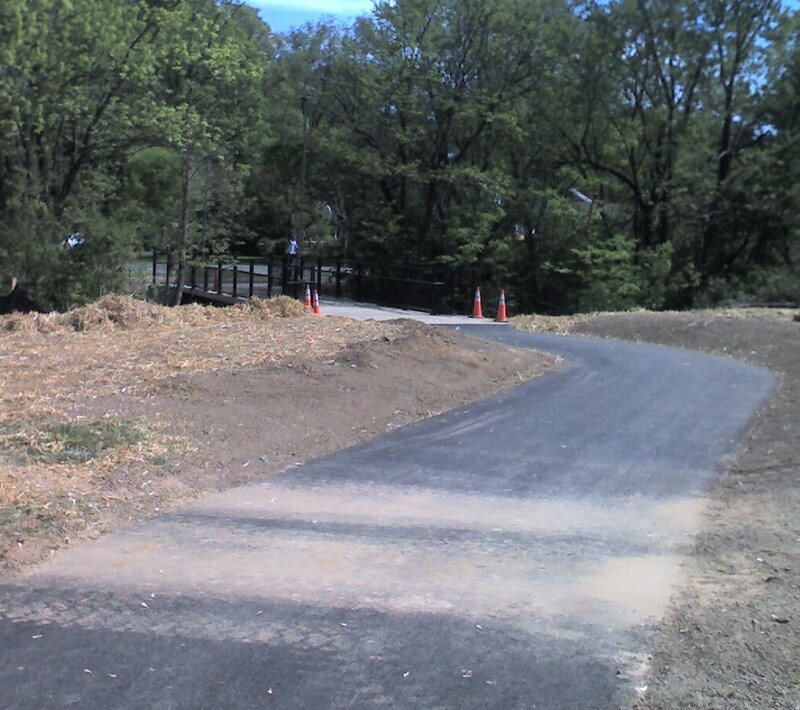 New bridge goes off to the right. 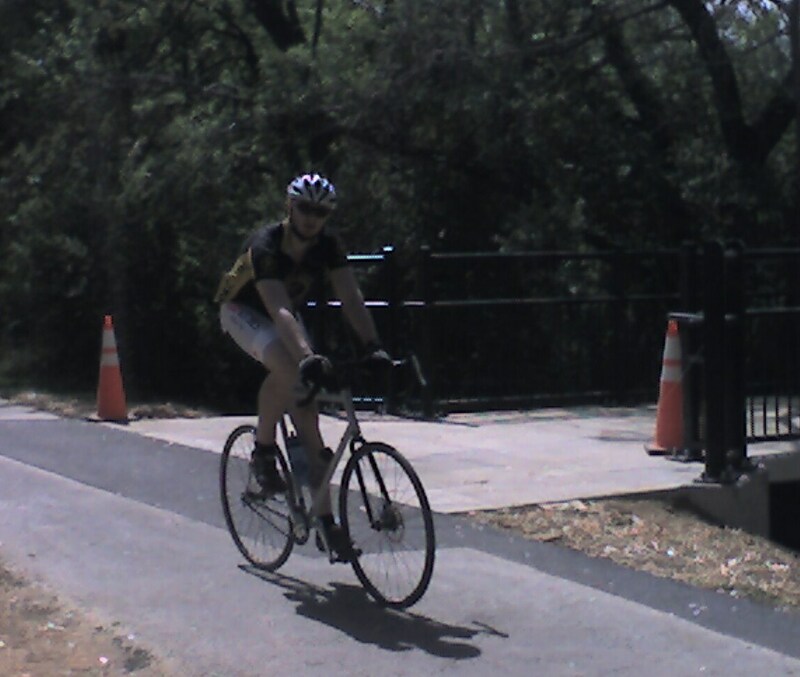 Cyclist is traveling east on the W&OD trail just east of the underpass at Sycamore Street. View of bridge approaching from the field across from the EFC Metro station. 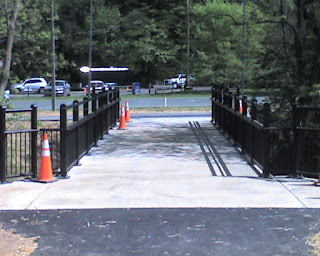 W&OD trail is on the opposite side of the bridge. Bridge view looking east across the bridge. W&OD is on the opposite side, running perpendicular to the bridge. The basketball court is beyond the trail. Wider and meets ADA requirements. With removal of some pavement, it's much more obvious where the trail is; people are less likely to get confused. Once signage is added, the logistics of this area will be essentially solved. But I am a bit nostalgic for the old one. In particular, because it was tucked into the trees, it gave a sense of being a neighborhhood secret. And it was cuter.